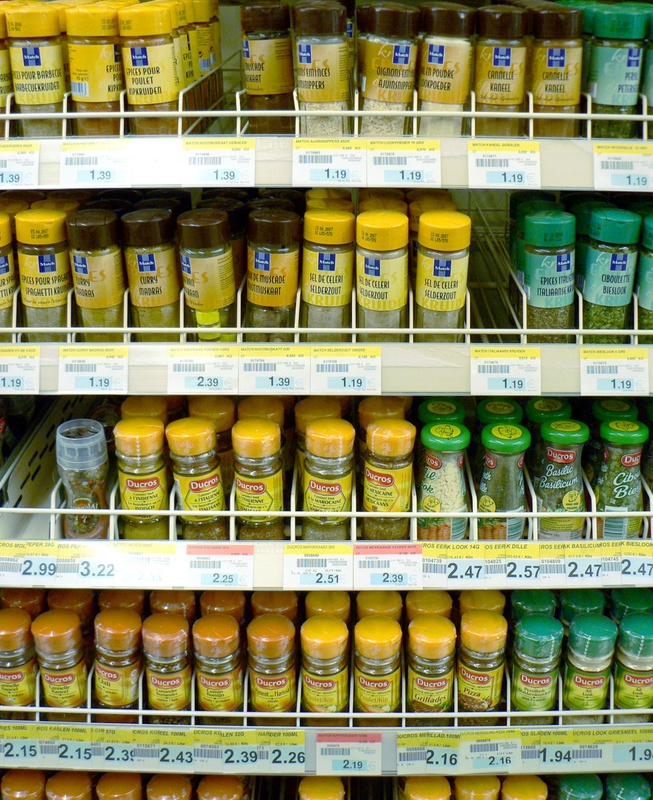 Different spices in a supermarket shelf as an example of a supermarket in lean manufacturing. Supermarket is Smatch supermarket, Deerlijk, Belgium. Photo Kruidenrek Smatch.JPG by Blink, in public domain and available on the Wikimedia Commons.